Today I traveled to Springfield, Massachusetts by way of the Springfield Daily Republican dated March 18, 1913 where I found coverage of a suffragist event held in England (see image below). 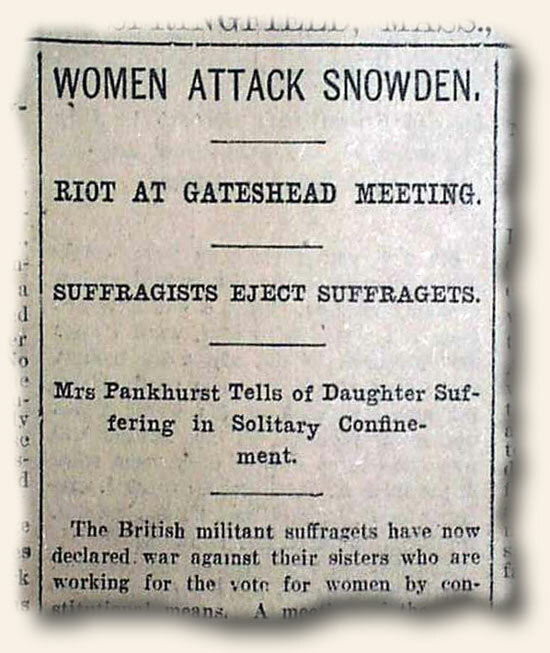 The British militant suffragist had declared war against their sisters who were working for the vote for women by constitutional means. The meeting was thrown into disorder until ladies had to be ejected from the event and peace was restored. In honor of St. Patrick’s Day, there are three small articles on the front page relating to this special day. One was of President Wilson wearing a shamrock sprig in his lapel and the reporting of “green” festivities at the Capitol. Another was the diversion of a waiters strike of the Irish national banquet in London. And the last is of Police Judge Killen who annually releases all the Irish from jail… check out that report!